An unwelcome change to parking on Elm Street in New Canaan has materialized in the form of thin strips of white paint. 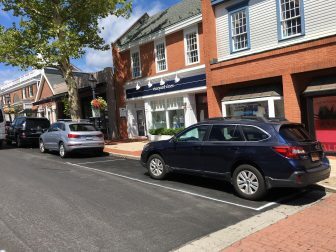 Though the permanent striping on New Canaan’s main business road is yet to come, public works officials have drawn the outline of a new parking arrangement over the recently repaved Elm Street that will see it lose 15 spaces. Prompted by a resident formally putting New Canaan on notice that the town was out of compliance with a little-known (and variously observed) state law that calls for a 25-foot buffer zone between a crosswalk and legal parking space—a notification that could open up the municipality to liability in the event of a collision—officials studied the parking plan on Elm Street and, reluctantly, approved revisions that respect the statute. Last week, residents got their first look at the new “no parking” zones based on outlines in the asphalt, and the change is dramatic. It also means downtown New Canaan, always struggling to accommodate demand for parking between workers and visitors, soon will be squeezed even tighter. 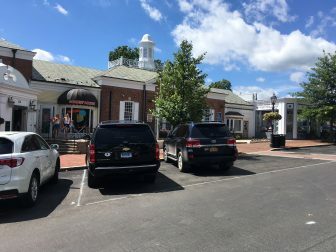 Laura Budd of the New Canaan Chamber of Commerce said the change makes it that much more urgent and necessary for those who work in both first- and second-floor businesses on Main and Elm to park in municipal lots. “Prime spots are for prime customers,” Budd said. 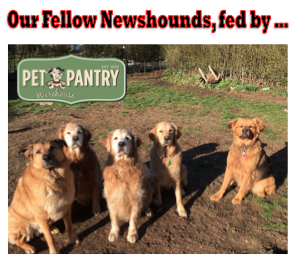 “In this retail environment, we all need to be good neighbors, and the Parking Department is available to discuss other options in town,” she added. 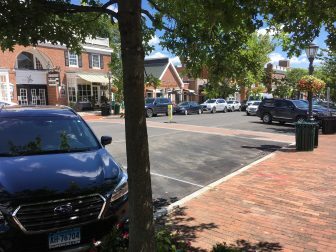 New Canaan long has struggled to encourage Realtors, service providers, retail shop and restaurant employees and others who work downtown to leave the free (now two-hour) parking spots on Main and Elm Streets for prospective shoppers and diners. Permits for the Center School Lot off of Maple Street cost $150 per year, and the town even created a special new permit for Morse Court and Park Street Lots, at $438 annually, for those who are employed at downtown businesses. First Selectman Kevin said the town is issuing more of those permits now to accommodate demand, and that the Parking Bureau also could soon start allowing people to pay in installments for such permits instead of in a lump sum. Elm Street is bisected by five crosswalks, counting those at Main and Park Streets. The town is losing 13 spaces due to its observance of the 25-foot law, and another two after making the parking stalls six inches wider. This increases safety for pedestrians in the crosswalks, and aesthetically makes for a much more attractive streetscape on Elm. The Town, parking attendants, the Chamber, retailers, the public have bemoaned employee and realtor parking on Elm Street for at least 50 years. There is no indication that this effort would be any more productive. If this crosswalk regulation is applied to Main St., then there would be an additional loss of at least 12 more parking spaces in addition to the Elm St. loss. Caution, rather than convenience should be that watchword for pedestrians. The town should do what it determines makes sense in terms of safety and aesthetics in relation to Elm Street parking. However, they should not feel compelled to do it because of the referenced statute. On its face, the statute does not apply to parking within towns that have local parking ordinances. If all town parking is subjected to the requirements of the statute, many more (free) spaces will be lost.